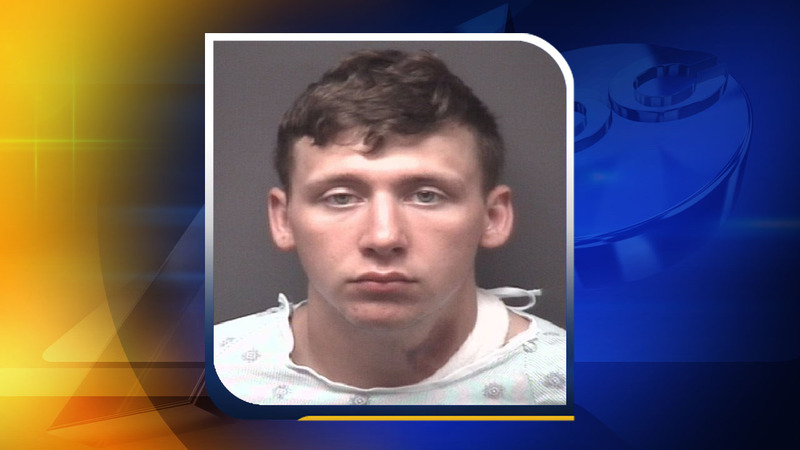 TYRRELL COUNTY, N.C. (WTVD) -- A Fort Bragg soldier is facing charges after he allegedly attempted to hit a state trooper with his motorcycle over the weekend. Braden Nelson Bago, 19, of Fort Bragg, is charged with assault with a deadly weapon with intent to kill, assault causing physical injury to a law enforcement officer and felony flee to elude arrest. Saturday afternoon, Trooper B.P. Daniel attempted to stop Bago for speeding on his motorcycle on US 64 in Tyrrell County. Bago did not stop and initiated a brief pursuit, according to the North Carolina State Highway Patrol. The trooper conducted a high-risk vehicle stop after Bago turned onto a dead end road. According to North Carolina State Highway Patrol, the trooper issued several verbal commands to stop, but Bago traveled toward the trooper, who then shot at Bago before being struck. The trooper was transported to Vidant Beaufort Hospital with minor injuries from the assault and has since been released. Bago was transported to Vidant Pitt Hospital with non-life threatening injuries and was charged at Pitt County Detention Center. According to military officials, Private First Class Bago is a Combat Aviation Specialist assigned to the 82nd Airborne Division. The State Bureau of Investigation is conducting an internal and independent investigation of the incident.